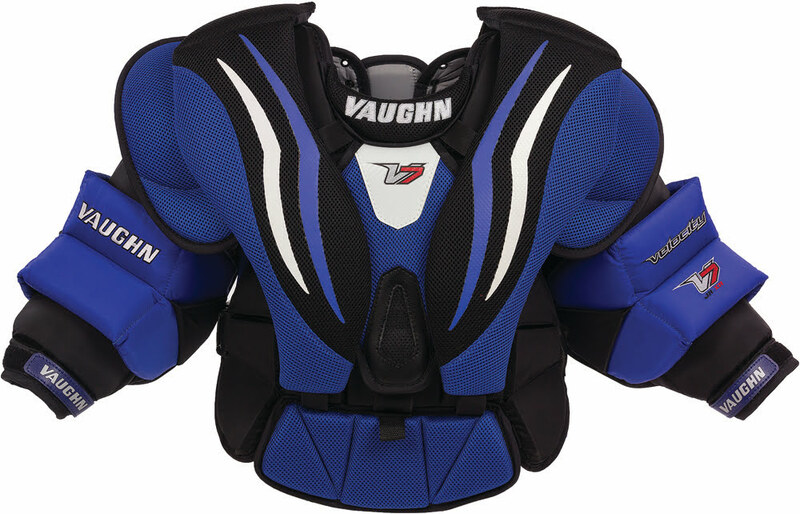 Vaughn Velocity V7 XR Jr Chest & Arm Pad | Sports Etc. The Velocity V7 XR junior chest and arm protector has high density chest pad blocks, which allow for easy flex and increased protection. The pad also has a large plastic reinforced sternum plate to increase protection coverage. Sports Etc Performance To Value Rating– 8 out of 10. A flexible, protective and lightweight chest pad, which is perfect for a younger, junior-sized goalie.